OIW felt that Alja gets a Bunny should be commended for including a child with profound additional needs (Alja is unable to walk, cannot hear or see and cannot eat unaided). The way the school naturally includes Alja in all the activities is extremely positive. However, our research found that there were learning points to be drawn in terms of the need to show that children with complex needs should be treated as equals, as opposed to being seen as a novelty. The style of illustration perhaps reinforces the sense of 'detachment' and difference, with the disabled child appearing to be rather doll-like and overly passive. OIW believe that My Grandmother Will Always Remember Me deserved great credit for offering an insight into a subject rarely depicted in books (that of Alzheimer’s) as a young girl learns to understand how her grandmother’s condition has begun to erase her memory. 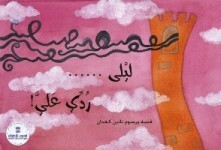 The portrayal is sensitive and we welcomed the fact that it is a picture book for an older age group. However, there was a concern that the story was slightly over-long; it was felt that it would need substantial editing in order to ensure commercial and audience appeal in the UK. OIW were pleased to include this short story of a young boy and his disabled adopted sister Aixa, who arrived from Africa with an amputated leg following a landmine accident. Written with plenty of humour and understanding, this book boasts originality and a positive depiction of a disabled character and there are also lots of other issues tackled including race, disability, adoption and also bullying. OIW felt the book should be considered by the UK publishing world. Palkó and Lenka feature two children, both seen as 'outsiders' by their classmates, who share a friendship. OIW felt that these books from Hungary offered an interesting model, featuring different perspectives of the same friendship. The distinctive illustrations are an important feature of these titles in terms of their appeal. Lenka was praised in particular, for tackling body image which is a neglected area in the children's UK book market. There was the suggestion from the VFG that the two stories might work better as one book. OIW believe that some work would be needed to address the concerns raised about the way issues such as physical appearance are raised, and the risk of accentuating difference and reinforcing negative stereotypes. She and the Others is a two-chapter story featuring a character with a physical disability (depicted pictorially by the girl having a 'key' in place of one of her legs). OIW were delighted to include this unusual book in the project. Written by the author who is herself disabled, we felt it offered innovative symbolism and multiple visual messages to explore. With its highly original style of artwork and short text, it could be a particularly distinctive and thought-provoking picture book to share with older readers. OIW thought Speechless was an appealing book with an important theme (a child who does not speak) and attractive artwork. It might require some editing in order to avoid implying that being selectively mute is likely to 'suddenly' resolve itself. However, it is a book with much to offer and good potential viability. 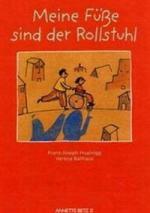 Together we’re Fantastic is the first of four books from the Anthology 'Gemeinsam sind wir grosse Klasse' for children of seven plus, by Austrian author and politician Franz-Joseph Huainigg who has been disabled since he was a child. "One experience gave me plenty of food for thought. I asked one class whether it included any disabled pupils. The children nodded and pointed to a girl who began to cry. She sobbed that she wasn’t disabled. The teacher joined in and said "Look, no-one here is disabled, we’re all the same." I thought about that for a long time. Apparently the other children saw things differently. And why was the word 'disability' so negative for that little girl? Disability doesn’t mean that you can’t do anything. We’re not all alike; we’re all different and everyone has some special skills". OIW considered Together we’re Fantastic (featuring a child with Down Syndrome) to be a book with plenty of substance and some powerful messages about the importance of inclusion. We also believed it was important to put the book in context in terms of how the author came to write the story. Huainigg is clearly writing from personal experience. His observations may not always be comfortable and some of our VFG have commented that they felt the portrayal of disability was not always positive. However, they all thought there was definite educational merit in the books receiving a wider audience. OIW were pleased to call in this title (discovered it at the Bologna Book Fair 2014) and to find a book which features a topic almost completely absent from young children’s literature – that of facial disfigurement. It proved to split opinion both across our VFG and even the OIW team. Whilst it carries an effective message about human tendencies to judge others on appearance and quickly draw false conclusions, there were questions about whether the book places excessive emphasis on the negative. Nevertheless, OIW considered there to be some valuable learning points to be drawn from Noi. Particularly interesting is the way in which it successfully avoids some common pitfalls (both through the text and artwork) such as not depicting the disabled character as only finding friendship only with another 'outsider' but instead showing a more gradual change and growing friendships. OIW considered Welcome to the World of Rafraf to be of interest in terms of its unusual theme, that of pet therapy, and particularly the idea of reading to a pet to help the young protagonist overcome his fear of reading aloud in class. However, the style of this book and some elements of its delivery might mean 'Rafraf' would have difficulty being able to attract interest in the UK publishing industry. Some of the titles we received featured the use of a wheelchair; either referencing disability in a metaphorical way or depicting the practical aspects of living with a disability. OIW found Like a Fish into Water to be a fascinating, but complex book with unusual and attractive illustrations. It takes a metaphorical approach – Sebastian has a profound affinity with water and when he is in the swimming pool, he forgets everything else. Out of water, Sebastian feels as if he is suffocated by the heat and lack of moisture – which renders any messages about disability as ambiguous so there were concerns they could be interpreted in a less than positive way. Nevertheless it is a deeply intriguing book and one which merits discussion. 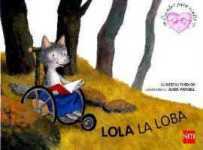 OIW did not have the opportunity to explore Lola the Wolf in depth because it was discovered quite late into the project, but we were impressed by the way in which the author avoided some of the common pitfalls in featuring a disabled character. Lola, who cannot walk following an accident, is depicted as neither hero nor victim, but somewhere in-between. She shows that she does not need to have decisions made for her (for example, being told what kind of mobility equipment she needs) but she does need practical help. Secondly, the book shows that it is possible to use non-human characters to feature the subject of disability without resorting to very non-specific stories about 'difference'. My Wheelchair is my Legs is the second of the Huainigg titles featured in the research. In this story the main character Margit is determined to go shopping to the supermarket on her own, but it is the first time she has had to navigate her wheelchair alone through the streets and she encounters some challenges along the way. As mentioned in the conclusion of Together we're Fantastic OIW believes it is interesting to note the perspective of the author, who set out to write such stories in the belief that it was important for disabled people (especially children) to learn from them and to know that they were not alone in the concerns and challenges they faced. The other two titles featured in our research were We Talk with our Hands (featuring deafness) and We See Eye to Eye (featuring visual impairment). OIW embraces this intention and welcomes books which help develop understanding and reduce isolation and exclusion. There was some strong support for this argument from the VFG, with experts often agreeing that the stories could be useful as information books although some members felt they were too didactic and could be seen to convey a 'negative image of disability'. However, one member of the panel, who is herself disabled, not only recognised some of the many issues highlighted in the book as facing a disabled child but also believed that it was very important that books like these should have a much wider audience. OIW concluded that there is a need for such books to be viewed within an appropriate context, and as part of a wider landscape which also features many other, natural, casual and positive depictions of disabled children. Although recent years have seen several books published featuring characters that are on the autistic spectrum, OIW considers there to be a need for many more, particularly some which include such characters subtly or casually. Our focus groups with parents of children on the autistic spectrum attested this. The parents were able to name several books featuring characters on the autistic spectrum, and particularly praised the translated Japanese title The Reason I Jump, especially since it is written by a boy who is on the spectrum himself. They all talked about looking for books which helped explain autism to friends and family members. However, they also agreed that there is a need for more books which feature autism in a subtle but positive way, avoiding sensationalism. Although Gabriel is a chapter book rather than a picture book, OIW were pleased to include a title featuring Asperger’s Syndrome, particularly as it's rare to find one for an older age group. There were, however, concerns expressed by the VFG about some of the messages in the book and their relevance to society today and OIW would recommend some editing should the book be published in the UK. Lorenzo’s has to drag the saucepan round with him wherever he goes. Often he finds himself in difficult situations and sometimes people don't understand him. This is a small, quirky and highly entertaining book and its metaphorical approach offers a potentially universal message about how we can each learn to cope with our own specific challenges. The author uses sensitive and amusing illustrations to recreate the daily life of a child who has some kind of additional need, showing both his character traits and the obstacles he faces. OIW liked the way no particular form of disability is specified, extending its relevance to many children. We also applauded the way the book encourages the reader to look beyond the 'saucepan', to find the true qualities of the individual. Sara's World drew a mixed response from our focus groups. Sara doesn’t relate to other people or her surroundings and her behaviour is disconcerting for everybody, especially her family. Sara's form of disability isn't specified and the reader is only presented with the narrator's viewpoint of his sister. The story is carried by powerful illustrations, a mix of collage and pencil, which bring the narration to life. 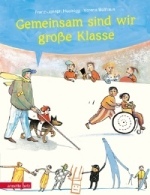 OIW considered this to be a sophisticated book in terms of both the artwork and text, although there were some concerns about the depiction of the disabled character. There are also some positives to be drawn from this book, such as the fact that it recognises the unpredictability of some forms of disability. Tamer's World was another title that attracted OIW’s interest because it sets out to deconstruct typical autistic behaviour and to show how it can be misunderstood. The carefully plotted narrative, supported by lively mixed media illustrations, gradually reveals Tamer’s positive qualities masked behind the initial external traits. It is worth noting that some of our panel had questions about the depiction of disability, and felt that the approach adopted by the story was a little 'obvious'. However, the feedback from the parents at the NAS was extremely positive, which leads OIW to believe that the depiction of an autistic child is very authentic. There is clearly a place for a book which features convincingly depicted characters on the autistic spectrum. OIW liked Answer Me, Leila from their first encounter with it and continue to feel that it is a strong candidate for UK publication. The vibrant artwork and powerful message about communication make it a very special book. In explaining the background to the book at an OIW seminar at the London Book Fair in April 2014, Nadine Kaadan said her story was based on a deaf woman, with whom she did not 'connect' until they started to communicate by email, upon which Nadine recognised the value of their friendship and wished she had learned sign language. Lelia, (a Rapunzel-like princess), is not portrayed as an 'outsider'; she is an empowered protagonist who speaks her own language and it is the prince who is the one who struggles. It was clear from our research that the book would appeal to UK audiences, provided some adjustments (and possibly an extension) to the story could be made. 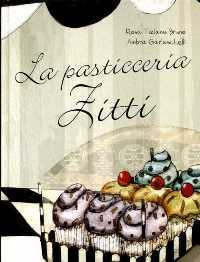 Zitti’s Cake Shop was felt to be an unusual picture book with a powerful message wrapped up in references to food and silence. It explores the extraordinary properties of food as a form of communication because understanding does not always need words. The illustrations by Ambra Garlaschelli have a haunting quality, delivered in monochrome tones. This book soon emerged as a powerful contender for UK publication, based on the feedback from the VFG and OIW’s own views. The consultation with UK publishers suggested that for some, the book might be considered to be too much of a risk in terms of its curious and rather sombre style of artwork. However, OIW would recommend wide circulation of this unusual and powerful Italian book in order to try to seek out the 'right' publisher. In this ingenious book, the world is described by a sighted and a non-sighted child. OIW liked its innovative way of illustrating the two very different perspectives of the same objects. The lyrical text combined with bold illustrations in predominantly yellow and black with the occasional blue and pink, help to accentuate the message. The sighted brother always believes that his description of each item is the correct one and it is up to their mother to point out that perhaps they are both right, telling him to "just close your eyes". Lola and Me is the story of the close relationship between a guide dog and a young blind woman and was featured in the IBBY Outstanding Books for Young People with Disabilities 2014 (no: 43). OIW did not have the chance to explore it in great detail, however our overall impression was that it is another good example of an inclusive book about visual impairment providing a positive image of disability. Read a Book with Me has a simple message: Antonio is already able to read but he wants to share his favourite book with someone, however everyone is too busy. OIW felt there was much to commend, in terms of the strong illustrations set in a cultural context, the encouragement of reading, adults spending time with children sharing a story and a book that features a visually impaired character but is not about being blind. 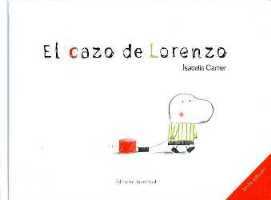 It also can be seen as a culturally diverse book. Despite receiving limited feedback on Sofia, the Swallow, OIW felt it was important to include as another example of an inclusive book about visual impairment. Sofia has not been able to see since she was born, but she has learned to do lots of things by herself, without help. 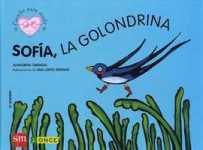 OIW concluded that Sofia, the Swallow, with its lyrical text and rich, colourful illustrations was appealing and conveyed a positive image of disability. Like Close Your Eyes (see Case Study 4.8 in the main report), it uses sensory analogies to explain the world around Sofia.